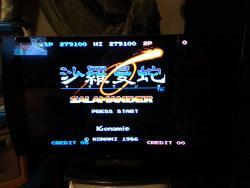 Wolfman and me (GimmeClassics) are going to be holding a high score tournament for Shoot Em Up fans starting next year ! We have a list of all players at the end of this post. It will be updated with every new entry. It's going to be a double elimination tournament with 3 rounds for seeding. All players will play the same game each round. Each round lasts a week. We'll have 3 rounds for seeding. So you'll be playing 3 games with your team mate and your score and your team mates score gets added together. The amount of contestants will determine how many points you will get. With 30 contestants the best team will get 30 points and last gets 1 point. 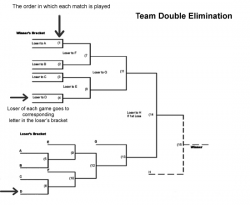 Comparing all the team scores will rank each team for the double elimination tournament. After the seeding rounds it's going to be a double-elimination tournament. The highest ranked team plays the lowest ranked team, the second highest ranked team plays the second lowest ranked team and so on. When there are an odd number of teams in the tournament the highest seeds receive "byes". 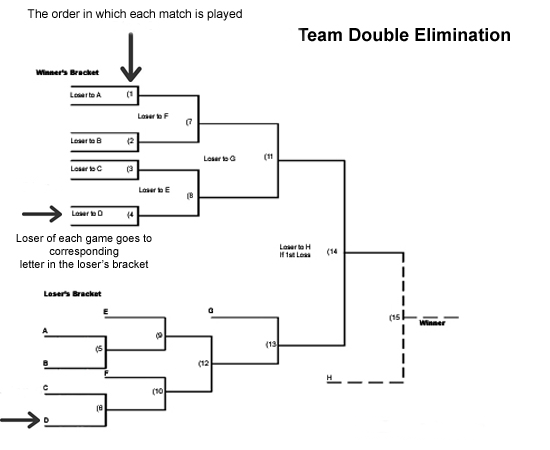 Each team begins in the winner’s bracket, but with one loss, goes into a loser’s bracket, where they will have to play their way back. All competitors will have the oppurtunity to play at least twice. This contest is going to be a multi-website contest. There will be a thread of our contest at each of these websites. When does this contest start...? Every contestant will receive a PM-reminder when the contest is about to start. Feel free to leave a reply or send a PM when you want to join our shoot em up contest !! Everybody is more than welcome to join our contest and / or play our hi-score games at the GameEx Hi-Score competition !! Edited by GimmeClassics, Tue Oct 22, 2013 11:18 AM. This sounds really cool. Cooler still if you stick with MAME only! Oh yeah. This tournament is right up my alley as shooters are my favorite kind of game to play. Dennis, I just ask one thing: Can you pleeeease consider having DoDonPachi included? It is a must-have for a shoot 'em up tournament. Also, add me(M.A.M.E Offender) and Cynicaster to the players list please. We'll go in as a team. Mame only is the way to go, IMO. I’m trying really hard not to be a whiner here, but with hundreds of games to pick from, why choose two that are essentially the same? Edited by GimmeClassics, Sun Jan 5, 2014 1:12 PM. Please follow this link for updated info about the tournament setup, rules, games and the list of Teams who will be participating. 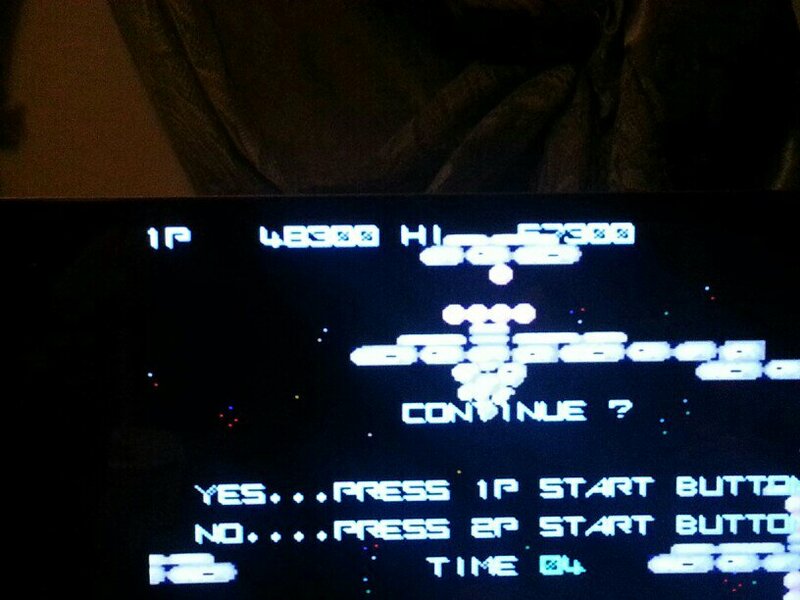 Of course each player can submit his of her score (screenshot) on the website of their choice. Edited by Hyperboy, Fri Jan 10, 2014 6:15 PM. WE NOW HAVE 27 TEAMS AND SIGNING UP AS A NEW CONTESTANT IS NO LONGER POSSIBLE ! !